A mallet finger injury is a tear of tendon that straightens the end joint of the finger. It is often caused by catching the finger “end-on” during sport, but it sometimes results from a minor injury such as catching the finger when tucking in bed sheets. 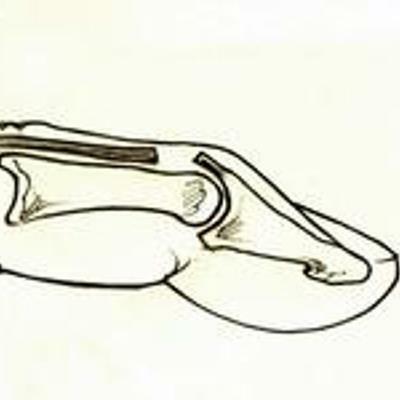 The tendon may tear where it joins on to the end bone of the finger, or it may pull off a small fragment of bone at this point (in which case it is called a mallet fracture). * Pain and swelling over the end of the finger. * The end of the finger lies in a bent position. * Inability to hold the finger straight at the end joint. An x-ray should be taken to look for a fracture. A splint will be applied to keep the finger in a straight position at the end joint. Several types of splint are used, depending partly on the size and shape of the finger. The splint is worn continuously for six to eight weeks (or sometimes a shorter period for mallet fractures, which can heal more quickly than tendon tears). It is very important that the end joint does not bend during the splintage treatment period. When you remove the splint to wash the finger, you must hold it straight and not allow it to bend. You will be shown how to change the splint safely. At the end of this time the splint is worn for one to two weeks at night and whenever the finger might be at risk of injury. Severe mallet fractures sometimes require surgical treatment, especially if the fracture has allowed the end joint to drop out of alignment. Most injuries treated by splintage will heal satisfactorily leaving normal function in the affected finger. There may be slight loss of full straightening at the completion of treatment, and it may take several months to regain satisfactory function. Redness, swelling and tenderness of the skin on top of the end joint are common for three or four months after injury, but usually settle eventually. Mallet fractures may leave a small bump on the top of the end joint and slight loss of bending of the joint, but pain is rare and the finger generally functions well. Occasionally the tendon fails to repair itself. It can be treated by a further period of splintage. Surgical repair can be attempted, but the results are not consistently good.